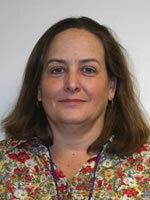 Gretchen Deeves is an Instructor at Louisiana State University Health Sciences Center School of Nursing. She received a Diploma of Nursing from Touro Infirmary School of Nursing. She received her Bachelor of Science in Nursing and Master of Science in Nursing from the University of South Alabama. She received her post-graduate certification as a Nurse-Midwife from the Frontier School of Nurse-Midwifery and Family Nursing and is certified by the American Midwifery Certification Board. Ms. Deeves serves as course faculty for Women’s Health and Genetics. She serves as a faculty advisor to students. Ms. Deeves coauthored an article, “Targeting Prenatal Emergency Preparedness Through Childbirth Education,” that was published in the Journal of Obstetric, Gynecologic & Neonatal Nursing. Ms. Deeves has extensive clinical experience in Labor and Delivery nursing as a staff nurse and then as a Nurse-Midwife. Ms. Deeves is a member of the Sigma Theta Tau International Honor Society of Nursing and of the Honor Society of Phi Kappa Phi. Ms. Deeves has received awards and honors including: The Dr. Allen A. Copping Excellence in Teaching Award, the Faculty Nursing Caring Award (twice), and the Daisy Faculty Award. She has also been honored as one of the Great 100 Nurses of Louisiana.